If Candlemas be fair and bright, Come winter, have another flight. If Candlemas bring clouds and rain, Go winter, and come not again. Those are the words of an old English poem which helped inspire a tradition that takes place here in the U.S. every Feb. 2, dating back to 1887. On Groundhog Day, the fate of spring is determined in the quaint town of Punxsutawney, Pa. If the groundhog “Punxsutawney Phil” sees his shadow, it means six more weeks of winter. And if not, we’re in for an early spring! And while thousands gather near Gobbler’s Knob, the small hill where the ceremony takes place, millions of people across the Atlantic in France celebrate Feb. 2 by feasting on crepes for what they call Crêpe Day or La Chandeleur. So what do these traditions have in common? Like many secular holidays recognized on the modern calendar, Groundhog Day and La Chandeleur both have a Christian connection. That’s right, if it wasn’t for Mary and Joseph bringing their infant Son Jesus to the Temple in Jerusalem, neither would exist! That celebration, associated with Simeon’s prophesy has evolved into both Groundhog Day and La Chandeleur. 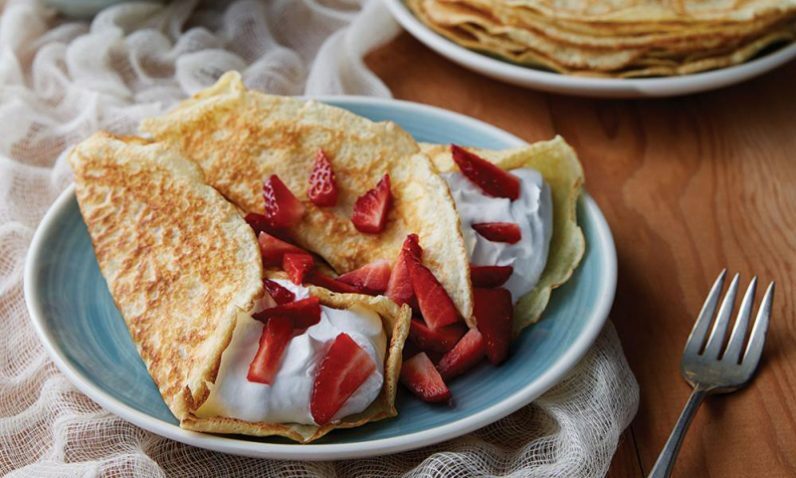 In France, La Chandeleur has also come to be known as Crêpe Day, as the customs of the celebration have morphed over time and now include the consumption of crepes. And in the United States, German settlers in Pennsylvania blended the Christian Candlemas holiday with other superstitions, which held that a hedgehog (from where they came) could predict weather, manifesting in the quirky tradition of Groundhog Day. I suspect most casual observers of either holiday are not aware of the Christian origins of the festivities of Feb. 2 … and it wasn’t until recently, that I learned of this. But it does make me think differently about the news report that arrives each year revealing the outcome of Groundhog Day and how much more winter it portends. And I’m willing to bet that delicious crêpes would bring cheer to me or anyone, especially if Punxsutawney Phil does predict a longer winter! In a blender, combine all ingredients and blend on medium-high speed (or pulse) until completely emulsified. Cover batter and let rest for 20 minutes. The batter can also be stored in an airtight container in the fridge overnight. Heat a small amount of butter in 9- or 10-inch frying pan over medium to high heat. Pour ¼ cup of batter into the pan. 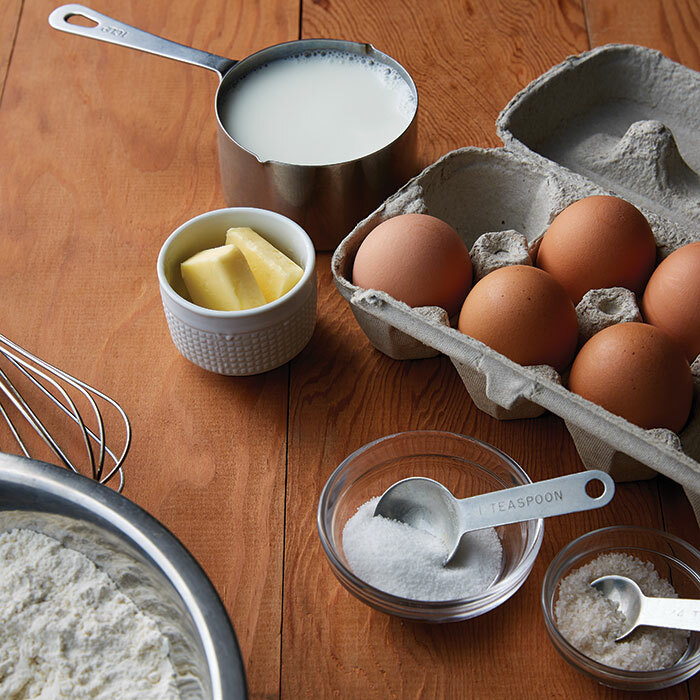 Tilt the pan to spread batter as thinly and evenly as possible. Cook for about a minute, or until bottom is light golden brown in areas. Gently lift edges and flip with a spatula. Cook the other side for an additional 10-20 seconds, or until light golden brown in areas. Repeat process for remaining batter. Serve warm with your favorite fillings! Reprinted with permission of FAITH Catholic. Visit faithmag.com/culture to find additional Culture columns. Perhaps a Christian connection but a Jewish foundation.